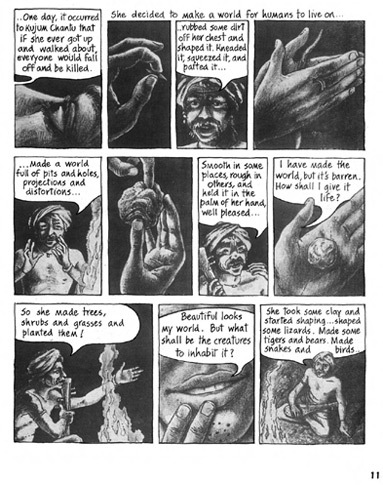 The River of Stories is perhaps one of the first instances of semi-fiction graphic novels created in India, in the early nineties. 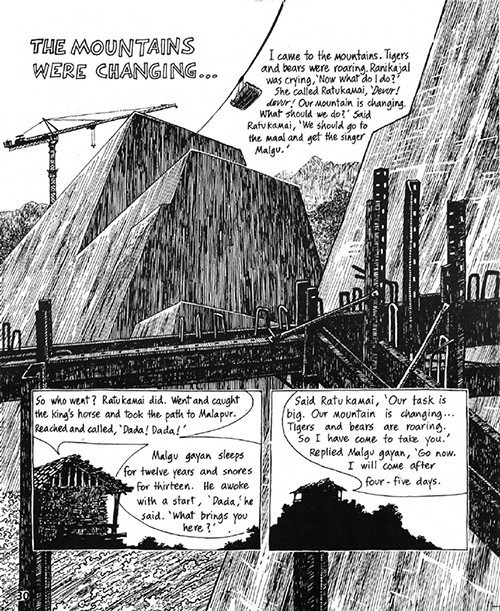 Written and illustrated by Orijit Sen (artist, designer and founder of the iconic People Tree brand), and hand-lettered by sociologist Amita Baviskar, the sixty page book emerged from Orijit’s participation in the Narmada Bachao Andolan (protests surrounding the construction of a dam over the Narmada River) and was created at his own expense over three years. 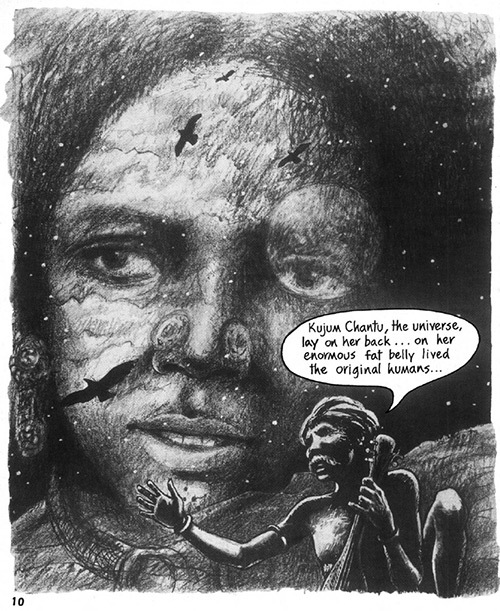 Within the book, two distinct streams of story and style merge, in response to the crux of the Andolan’s questions on two developmental models—one indigenous and self-sustaining, the other modern and large-scale. Published via a grant from Kalpavriksh, an environmental-issues NGO, all the copies of the book were sold over the next few years. Today, the book can be viewed/downloaded here, via Scribd. Here’s an interview with Orijit Sen on the book, on Kindle Magazine.